Are you tired of tracking different passwords you have created in so many places online? You must be worried too about their security. If yes, here's one app for you that can free you from the password mess and at the same time keep them secured for you. To know more read on. Today most of us are logging in through our devices to multiple sites, and keeping a record of all these at times can seem quite taxing. On the other hand, it is becoming essential day by day to maintain every security aspect, whenever it comes to dealing with passwords. To handle the current situation, I came across this password manager app named LastPass which works with equal efficiency on your PC and on your mobile device. It is an Android app through which the users will be able to access their personal information with ease . 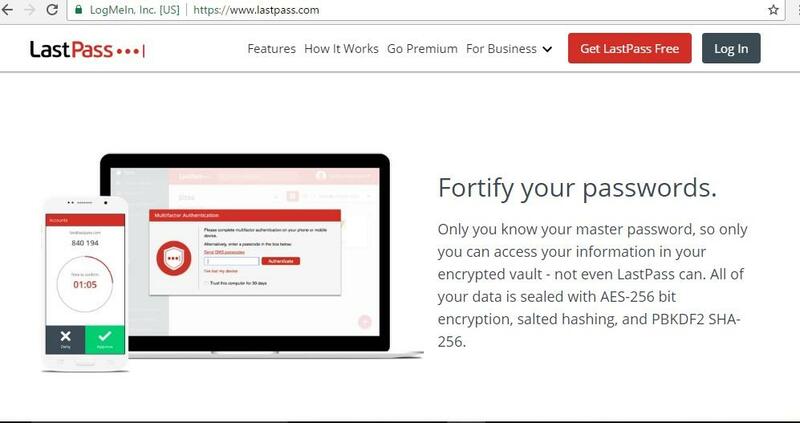 In short, LastPass is a password manager app which is also a password generator that secures your passwords by locking them in a secured vault. LastPass works by its autofilling feature that ensures the login procedures for you by generating and remembering new passwords instantly in a secure environment. And for all this you need to remember only one single password that you create for the LastPass itself and then this master password of LastPass would take care of the rest. Once you are done with the LastPass account, you can continue to Store your login passwords, generate strong passwords, create online shopping profiles, track any personal information and find them out from photos & audio notes, and would be able to do much more. There is a Secure vault in LastPass that is made to keep the user passwords safe and secure. It is capable of storing innumerable passwords that helps the users to access all their passwords for the respective websites and customer profile. All you need to do is save each and every password that you create through your device. 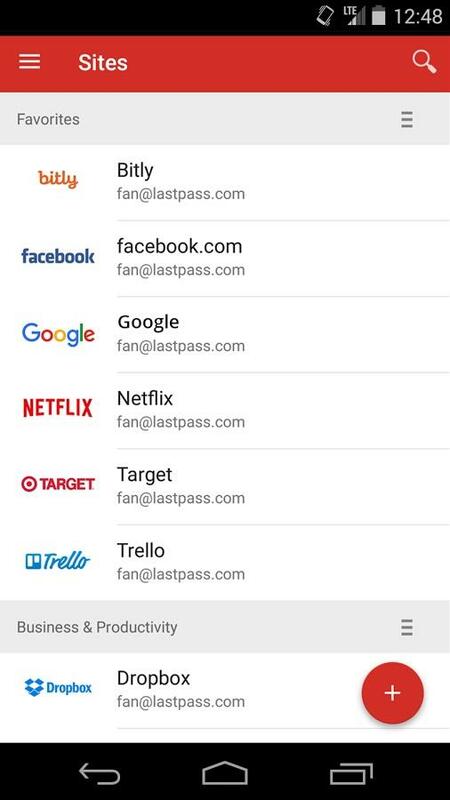 LastPass would never have any access to your encrypted data, so all your information stays safe with the app. As your vault is fully encrypted at the bank-level, AES 256-bit encryption, there is no chance of them getting hacked or accessed by others. The Autofill option of this app uses the personal information and passwords to Fill the Form that the user needs while creating online Profiles. The next good thing about this feature is that you can Sign in by using the LastPass master password or even your fingerprint, the Autofill passwords feature will open in Chrome or Opera and convert them into a private browser. The app doesn't only save your passwords and help you log in into several wbsites, it even guards your other documents like photos, videos and other files. 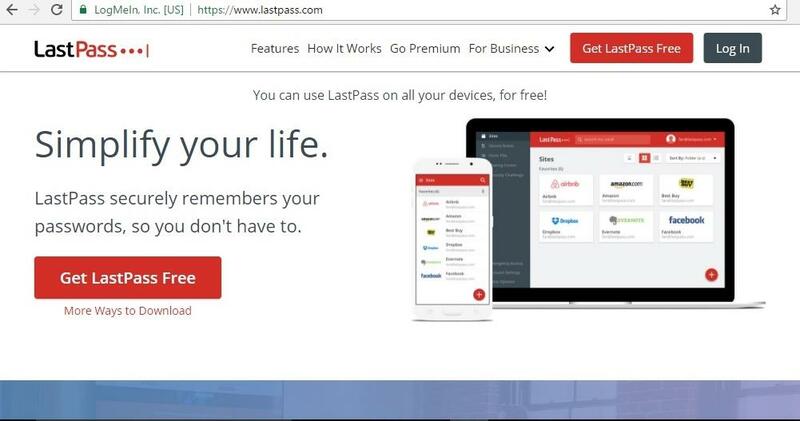 Whether it is important documentation on credit card, insurance or any other stuff where you need your passwords, LastPass would make it all easy for you. There are options like Photo vault where you can attach photos to any note and lock them up and Audio notes where you can set a custom voice memo for reminding yourself any particular thing or simply record your baby's giggles forever. If you are in a hurry and aren't in a position to type a password for the LastPass itself, your Finger print can unlock the app to give you access to the locked and secured passwords you need urgently. To be more organized with your multiple passwords, LastPass helps you in securing them by storing these passwords in respective folders into categories like Shopping, Social, Banks and more which would be furthermore protected by the extra protection of the LastPass password or your fingerprint. We all know that at times we need to share our passwords with our close knit family and friends. Through LastPass sharing your photo vault, Audio notes and other note info becomes a breeze, where there is little chance for any unknown to hack them. There is a Multifactor authentication process in the app to secure the password vault. It locks the LastPass account itself for further procedures of multi-factor authentication that has been adapted from authentic apps like Duo Security, YubiKey, Google Authenticator and so on. Keeping in mind the emergency situations, the app has accommodated the permission of sharing your password with your reliable contacts. There is this Add security feature, where there will be a waiting period within which you can accept or decline an Emergency Access request to your vault. If you accept the request, your vault will be synchronized as a folder to their vault. With LastPass you won't have to break your head to create a new strong password. The app would itself generate a secure customized password for all of your apps and logins. There is this Auditing feature of the app that gauges the strength of passwords with the Security Challenge system of LastPass and would create new strong passwords to replace the weaker ones. It doesn't matter if you are not connected to the internet, the app would make everything accessible to you even when you are offline. To maintain security and its functionality LastPass uses the latest hashing algorithms like many other latest apps to process the information like account details and henceforth authenticate the user. Though the hashing algorithms couldn't be labeled as a full proof solution for security, it is one of the most accredited procedure as of now. LastPass stores up a hash of the user's email address and the master password on the device but not in its servers. It uses that master password as an encryption key to encode the log-in details for every site the user visits with a 256-bit AES cypher before it goes ahead to store them on its servers. The developer creates a unique ID token for each user by hashing the passwords and use the local encryption keys all at a time. That ID token is further hashed with a random number when a user creates an account, and at this juncture the app authenticates the user's account. The App has a bright and good looking interface with sophisticated ways of functionality with varied options for generating password. 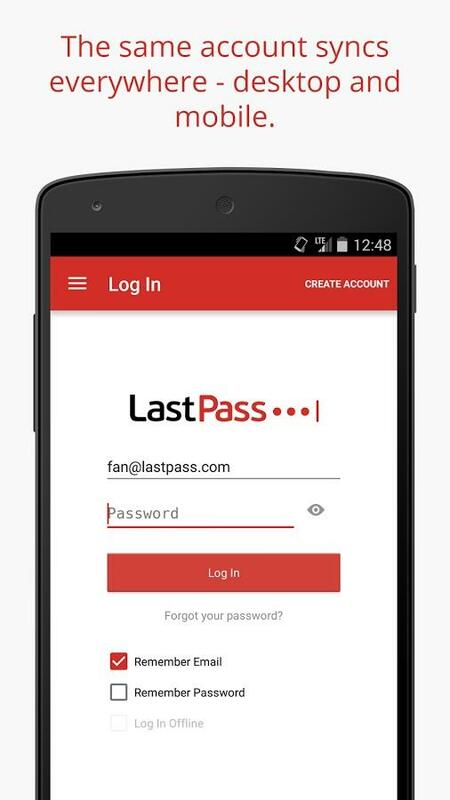 The features of LastPass exhibit latest technological adaptations that have not only taken the matter of security seriously but have even focused on the Emergency Access feature to build the app as trustworthy enough. Though there isn't much to talk negative about the app, but a few more things could have made it all perfect. The app should have comprised the ability to fill in the Web forms even outside the built-in browser. Sometimes a few users have complained about finding the passwords difficult through pop-up. After using it more than on week, LastPass Android app has given me immense relief and ease with my online transactions. Right from generation of a strong password, remembering them, sharing them with your family members, LastPass came handy with everything. The app hasn't yet given any single trouble as of now with my simple kind of online shopping, payments and profile logging. To rate it, I would describe it as an app that really has earned its share of goodwill from its users.